College athletes in football and other sports are turning to early retirement, choosing to end their athletic careers to avoid the long-term effects of concussions. 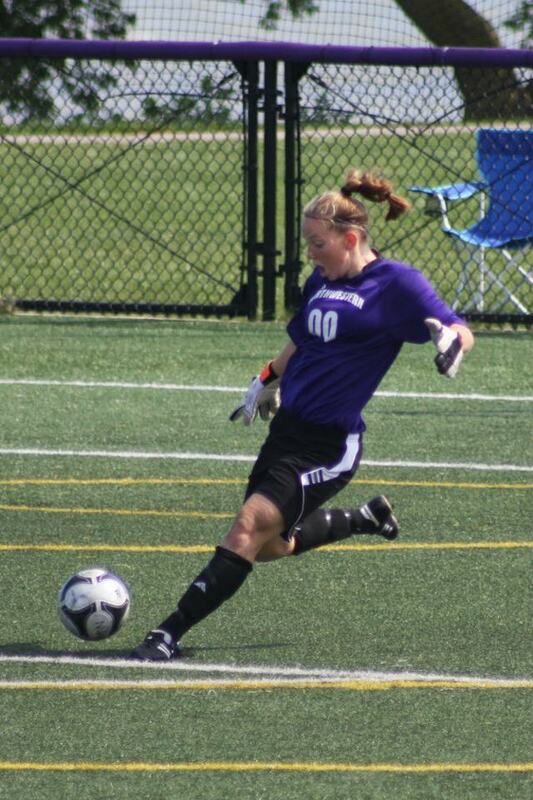 During Anna Cassell’s career playing women’s soccer at Northwestern University, she suffered three concussions in 15 months. At first, her third concussion didn’t seem as severe as the earlier injuries, she said. But the symptoms lasted much longer. She spent eight months redshirting, trying to recover. The headaches and dizziness didn’t completely go away for a year. She suffered from depression and anxiety. As a junior in college, she decided to walk away from the sport. The exact long-term effects of concussions are still being discovered and debated, but the consensus is that the head injuries can cause lasting damage. While hard data on the number of players leaving athletics due to concussions are difficult to come by, medical and athletics professionals say an increasing number of them are deciding that whatever the long-term risks of concussions are, they’re too costly. And so some players are choosing to cut short their promising careers in sports in an attempt to avoid further injury. Over the past academic year, at least seven high-profile college players have retired from their sports due to concussion concerns. In September, David Ash, a starting quarterback at the University of Texas at Austin, stepped away from football after suffering from a concussion’s effects for a year. That same month, Casey Cochran, a sophomore at University of Connecticut, retired after being injured in his first game as starting quarterback, citing the effects of multiple concussions. West Virginia University quarterback Clint Trickett retired from playing football in December after suffering five concussions in 14 months. In January, Kendall Griffin, a basketball player at Wright State University, also retired following five concussions in two seasons. In March, Washington State University’s Nicole Setterlund announced she would retire from playing soccer due to concussions. She was a first-round draft pick and was set to play for a professional women’s team. A few weeks later, Jack Miller, an offensive lineman at the University of Michigan, made the same call. The following month, so did Tyler Henderson, a running back at Wake Forest University. Chris Koutures, a sports medicine specialist who treats many athletes in contact sports and is a team doctor for the USA volleyball team, said he’s relived to see that an increasing number of college athletes are heeding advice to retire after serious head injuries. Many athletes, however, are still hesitant to do so, he said. Underreporting makes it difficult to know just how many concussions occur in college athletics each year, but the number is in the thousands. Few of those players will make the choice to retire. Giving up something they’ve spent most of their life working toward is a difficult choice to make, players said, and there’s a stigma attached to quitting. 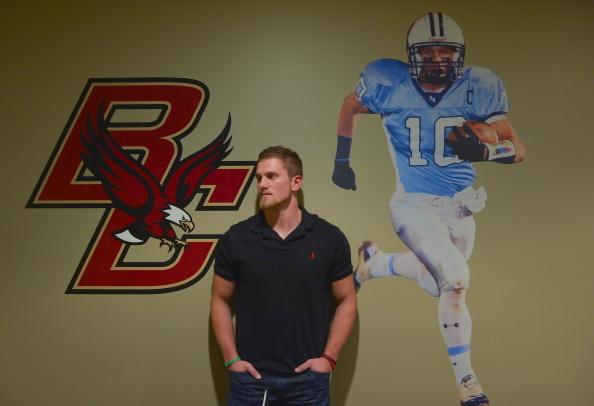 “There is this feeling like you’re going to let your team, or even your family, down,” Rositano, the former Boston football player, said. Some sports medicine experts and college athlete advocates have suggested that colleges or the NCAA create a three-strike rule of sorts that would force students to leave a sport after a certain number of concussions. The NCAA and several college athletics conferences have recently created new guidelines in an attempt to decrease the number of sports-related head injuries. The new guidelines don’t set a cap on the number of concussions a player can suffer from and still play, but they do urge colleges to set clear protocols for a player’s gradual return to competition and practice. Koutures said that there’s no set number for determining when an athlete has suffered too many concussions. The first time Molly Poletto, a former University of Utah soccer player, got a concussion, the injury was unrelated to sports. It was 2003, and she was watching her brother at a local skate park when another skater slipped off a ramp and came down on her head, knocking her unconscious. At the hospital, Poletto later said, she couldn’t recognize her mother. It was the only time she was ever knocked out, but it was not the last time she would be concussed. Five years later, Poletto, by then a promising high school soccer player gaining national attention for her goalkeeping abilities, took a bad dive and hit her head while at a soccer camp. She tried to play through the pain for days until a trainer realized Poletto was hiding a concussion. A couple of years later, she was hit in the head while playing at a recruiting camp. The pain lasted for months. In 2011, Poletto was playing in an indoor soccer club when a ball, again, struck her in the head. By this point, Poletto said, she was educated enough to know not to rush back into play after a head injury. But with only 20 minutes left in the practice, she decided to push through and let herself rest after. Minutes later, another ball hit a support beam on the goal behind her and ricocheted into the back of her skull. On the way home, Poletto said, she couldn’t stop crying. She said she was “an emotional wreck,” but wasn’t sure why. A doctor later told her she had received two concussions in 20 minutes. Later that year, Poletto joined the University of Utah’s women’s soccer team on a full scholarship — a stepping stone she hoped would lead to playing soccer professionally. During her second week of two-a-day practices at Utah, she caught a ball on her chin, giving her whiplash and a mild concussion. For the first time in seven concussions, however, Poletto finally gave herself time to heal. Nearly four weeks later, feeling well rested and clearheaded, she returned to goalkeeping training. Poletto rolled a ball out to a coach, who kicked it back to her. The ball came in too high. She didn’t have time to react. Speech and vision therapy followed, and then counseling. Poletto withdrew from two classes; her short-term memory was shot. Months later, she still couldn’t walk on a treadmill at an incline. Her doctors and her family said they weren’t comfortable with her playing soccer again, but Poletto continued to train and go to therapy, hoping to get back out on the pitch. Then a trainer told her that if she took another bad hit, she could be “a vegetable.” Poletto retired. “Eight was the concussion that ended my career,” she said. Poletto is one of at least four high-profile women’s soccer players — including Anna Cassell — from that time who started their college careers to much fanfare, only to leave the sport before graduation due to concussions. Cassell said her decision paid off. She is headed to the University of Cambridge next year to earn a master’s degree in primary care research, and then to medical school. Poletto, too, said she has grown to enjoy her new life off the field. She is now a member of the women’s soccer coaching staff at Utah and a coach for a national soccer league, where she encourages players to be honest and up front about their head injuries. Both women were able to stay in college on medical hardship scholarships given to injured athletes.